Running in an upcoming election? Coroplast signs are ideal for creating awareness for a candidate in an election campaign. Coroplast is often the choice material used for political signs because it is light in weight, durable against weather conditions, cost-effective, and easily recycled or reused. Most Election Signs are made with 4mm Coroplast, but 6mm Coroplast and 10mm Coroplast can also be used. Typical dimensions for Coroplast political signs include: 4 x 4 feet, 4 x 6 feet, and 4 x 8 feet. 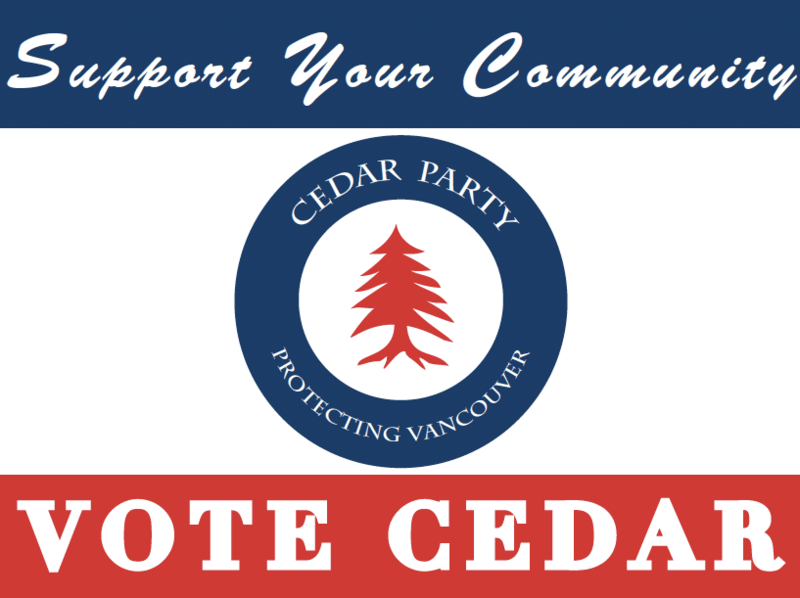 The picture to the right shows an example of a 4 x 6 foot sign used in a Lower Mainland election. Political signs are used to create awareness for a candidate and the party they support. It is common for Political signs to include photos of the candidate, along with logos and branding for their party. If you require graphic design services, Simple Sign has skilled designers that can help your political signs get noticed.